The Moovea is in excellent condition and has had very little use. Setup is quick and simple and the tent offers a large cabin space with double bed. It has a zipped in groundsheet and removable door panel for easy access. As the unit is still a current model there is a option to purchase the additional side/front awning or sun canopy. 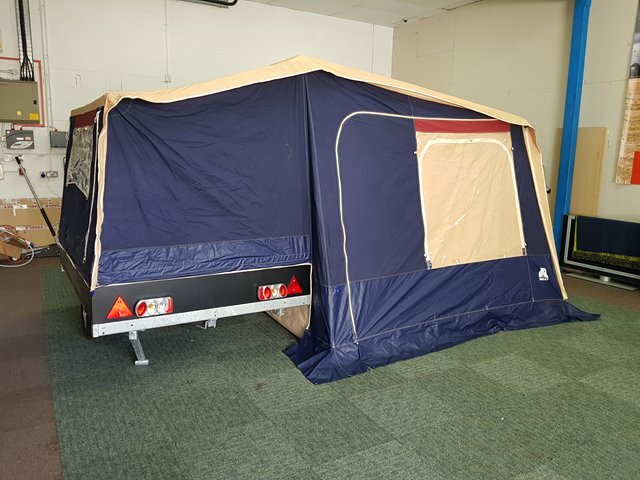 Please note this trailer tent is not on display, please call to arrange a suitable time if you would like to view.